Los Angeles 2024 have today revealed a proposed budget of $5.3 billion (£4.2 billion/€5 billion) should they be successful with their bid for the Olympic and Paralympic Games, which they claim is a "balanced and realistic" figure. The announcement confirms the Bid Committee has abandoned the standard practice of having separate operational and infrastructure budgets after insidethegames exclusively revealed that would be the case last month. 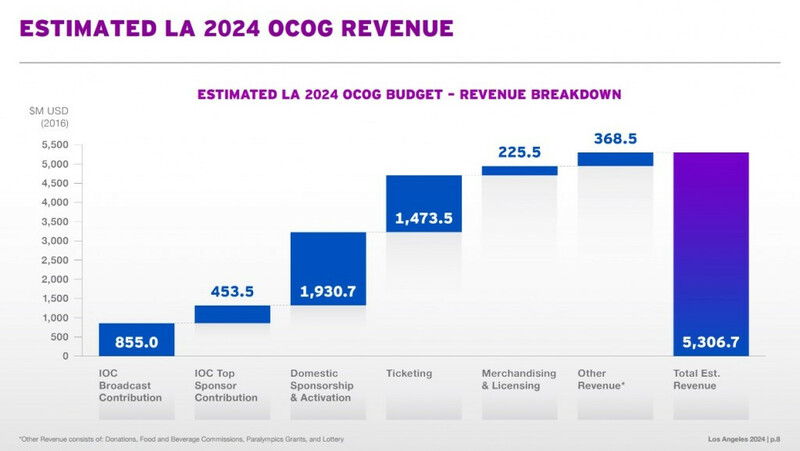 Los Angeles 2024 insist the budget, which also features a $491.9 million (£389 million/€461.1 million) contingency, offers "no surprises" for the City of Los Angeles and the Olympic Movement based on "realistic revenue projections and a low-risk Games Concept". It is fully financed through a number of factors, including the contribution from the International Olympic Committee (IOC), domestic sponsorship, ticket sales, licencing and merchandising and other revenues. Venue infrastructure, which includes renovation work on the 30 existing venues due to be used if Los Angeles wins the rights to host the 2024 Olympics and Paralympics, is highlighted as the largest cost at just shy of $1.2 billion (£950 million/€1.1 billion). Other factors taken into account in the figure are Olympic venue overlay, rental agreements and temporary venue construction. The Bid Committee reiterated their claim that no new permanent venues will need to be constructed. "If Los Angeles is chosen to host the 2024 Games, the IOC does not have to worry about changing or evolving budgets, shifting competition venues or uncertainty about the delivery of the Games," Los Angeles 2024 chairman Casey Wasserman said. "Our Games Plan offers stability and minimal risk to the City and the Olympic Movement. "This is a realistic plan, with a responsible, realistic budget, that faithfully reflects the IOC’s Olympic Agenda 2020 philosophy: credibility; sustainability; partnership." Wasserman also said they had "deeply engaged" with the IOC before releasing the figure, which came as a result of an "open and transparent process". Los Angeles 2024 were the only candidate city not to release their budget information but had confirmed it would be made available either by the end of the year or when the third bid file is submitted to the IOC in February. They claim they have been able to use a single figure because they do not have any wider non-operational infrastructural costs. Elements of the city's $120 billion (£95 billion/€112 billion) transport plan due to be completed in time for the Games will not be included because they have nothing to do with the bid and will take place whatever the result, according to the Bid Committee. Los Angeles 2024, who say they have 88 per cent support from the local population, are marketing themselves as a "privately funded" bid which will not rely on any money from the taxpayer. The projected budget was also submitted to global accounting firm KPMG, who are due to deliver a report on the figures to the Los Angeles City Council before it is then released to the public. The Bid Committee have announced they expect to generate $1.93 billion (£1.5 billion/€1.8 billion) in domestic sponsorship revenue, while ticketing would provide $1.47 billion (£1.1 billion/€1.3 billion) in income. Should Los Angeles succeed with its bid, 8.4 million tickets would be sold for the Olympics and 3.3 million for the Paralympics. "Los Angeles 2024’s planning and budgeting has been a fine balance of ensuring the greatest sporting environment possible for the athletes, while delivering the Games in a responsible, low-risk manner for Los Angeles and the Olympic Movement," Los Angeles 2024 chief executive Gene Sykes said. "Los Angeles 2024’s budget ensures guaranteed delivery of the Games, a prudent and responsible use of our city’s existing resources and assets, and stability and minimal risk to the IOC and Olympic Movement not just for 2024, but for many years beyond." Budapest and Paris are also bidding for the 2024 Olympics and Paralympics. The IOC will elect its chosen host city at its Session in Lima on September 13. 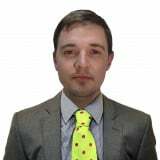 November 2016: Nick Butler: What would it mean for the Olympic 2024 bid race if Donald Trump becomes US President?